The Department of Safety states that an SR 22 form is a proof of liability insurance that needs to be submitted by car insurance provider. This sr22 form is mandated by the DMV for Owner or Non Owner. 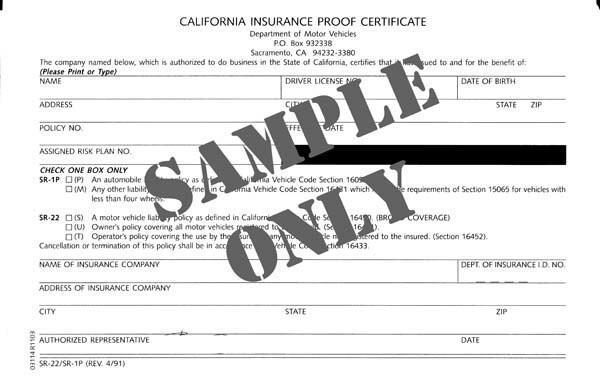 This Sr22 insurance certificate is valid until it has been canceled through sr-26 form. It is important to keep the Sr 22 form active for the the time period you are required to have it, otherwise, your drivers license will be suspended. If convicted of a serious offense while being mandated to carry an sr 22 form; there’s another 3-year extension to carry an sr22 from the date of the offense. An SR 22 form is a proof to the D.M.V. that you have the required insurance of the state. You are usually required to carry an sr22 if you don’t have liability insurance at the time of the accident. This form has to be files by your car insurance company with the DMV and your insurance company will need to inform the DMV if the sr22-form has been canceled, terminated or lapsed. The minimum liability insurance in the state of New Hampshire, as example, is 25/50/25. This means you will need to have at least the coverage of $25,000 for bodily injury liability per injured person up to $50,000 per accident. You will also need to have $25,000 property damage liability per accident. Make sure to pay attention to this guide especially if you have been charged with a DUI or DWI or made guilty of any other reckless driving violations. In almost all US states, drivers who have been caught actually driving a car without owning insurance, or driving under the influence will have to file for an SR 22 Insurance. The US states which DO NOT have SR22 requirements are: North Carolina, New York, Kentucky, Delaware, Minnesota, Pennsylvania, Oklahoma and New Mexico. All the other states do have specific SR22 requirements. It is important to keep in mind that the policy regulations and certain rules differ greatly from one state to the other. This is why drivers should always make sure to discuss with a local insurance agent in order to understand the specific state requirements. SR 22 Insurance is not an insurance policy proper. It is rather a certificate of financial responsibility which is issued by the insurer. 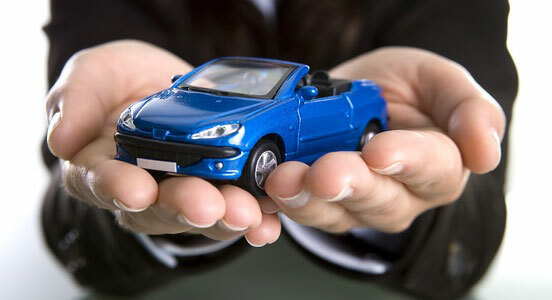 It is generally used to inform the DMV and the state regarding your status as a policyholder. SR22 Insurance is generally quite expensive. This is so mainly because this insurance has been developed for high risk drivers. If an insurance provider regards you as a high risk driver, your rates and premiums will be much more expensive than those of a driver with a clean record. Insurers work around some very well defined risk assessment rules and the lower the risk a policyholder represents, the cheaper the insurance policy will be. In case you have to file for an SR-22 form but you move to another state, you have to continue paying for SR22 coverage in the state in which the violation occurred. Allowing your SR22 Insurance to lapse might have bad consequences. Non payment for the SR22 premiums can easily result in having your driver’s license suspended. Coverage for SR22 has to be kept for a minimum of 2 years after the violation has occurred (in some states, you need to continue the policy even up to three years). In case you do not have insurance at all, but you have been charged with a DWI or a DUI, you have to contact immediately an insurer who can offer you the protection that you need. Some insurers are quite reluctant to offer protection to people who have been charged with reckless driving violations. This might result in having to pay much higher premiums and rates so that the insurance company can balance out their risk. You can have access to several free SR 22 Form Insurance quotes online. All you need to do is contact several insurance companies and fill out the forms for the quote request. Quite shortly, you will be able to compare quotes from well over 20 companies. Choose the option which offers the best coverage for the most affordable price.